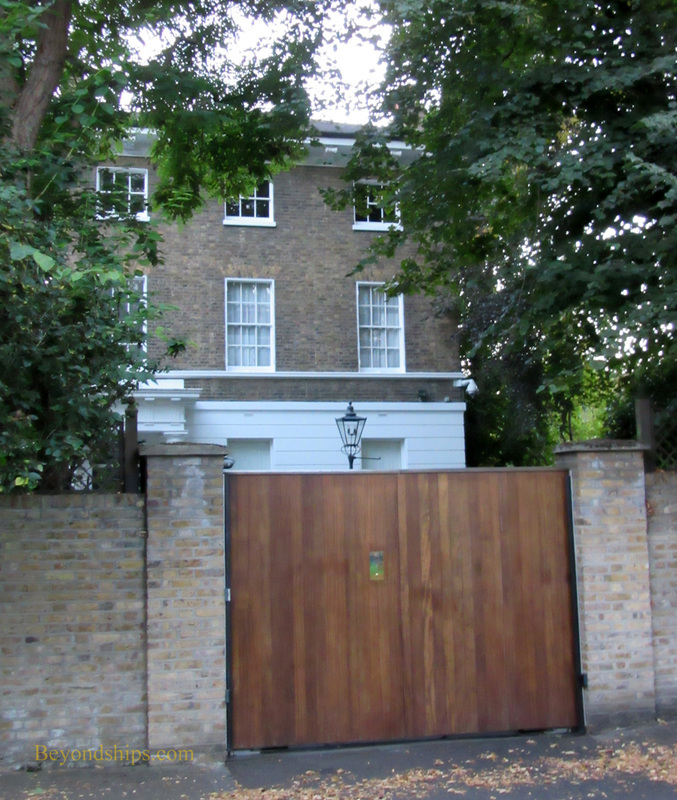 In March 1966, Paul McCartney and Jane Asher moved from her parents home to a house that Paul had purchased in St. John's Wood. Cavendish Avenue is a residential street not far from Lord's Cricket Ground. A high brick wall and a solid gate separate the McCartney house from the street. As a result, you can only see the upper floors of the house from the street. Cavendish Avenue looks much the same as it did in the Beatles era. Paul still owns the house. A few streets away from Paul's House is Abbey Road. The name of this street became immortalized as the title of the last album the Beatles recorded together. (“Let It Be” was released after “Abbey Road” but was recorded several months before “Abbey Road”). 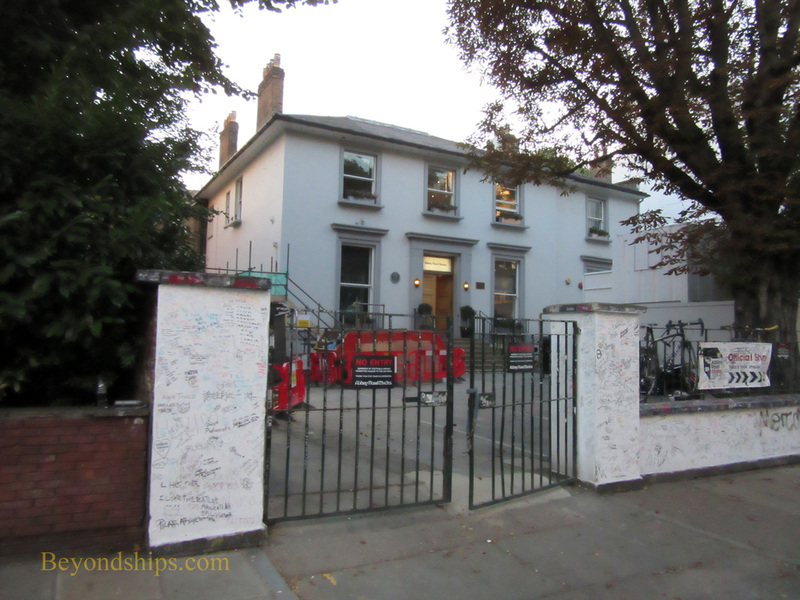 Abbey Road is the location of EMI Studios, the recording studio where the Beatles recorded most of their music. The studio had a long distinguished history even before the Beatles assembled there in June 1962 to make their first recording with Sir George Martin for EMI's Parlophone label. The Georgian House had been converted into a recording studio in 1931. The London Symphony Orchestra and Pablo Casals were among the artists who had recorded there. In addition to the Beatles, the studio would go on to host many other British bands including Pink Floyd and the Hollies. The studio is now an English Heritage Grade II listed building and so it is legally protected. The wall outside is covered in graffiti reflecting the numerous visitors who come here. During the recording sessions for the “Abbey Road” album, Paul McCartney suggested that the cover of the album be a photo of the band walking across the zebra crossing in front of the studio. The others agreed and the image of the four walking across the street has become well-known throughout the world. 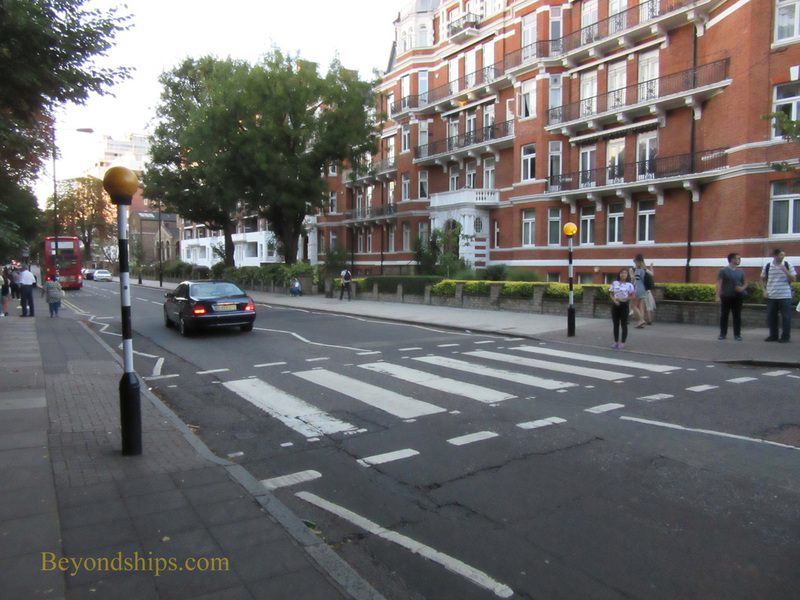 Consequently, the zebra crossing has become a pilgrimage site for Beatles' fans. Much to the chagrin of motorists on this busy street, there is a constant stream of fans posing on the famous crosswalk. Abbey Road is not far from St. John's Woods Tube Station. The crosswalk is by the intersection of Abbey Road and Grove End Road. The recording studio is number 3, on the left as you look down Abbey Road from the crosswalk. Below: The Abbey Road crosswalk. The final stop on our tour is what has become known as the Apple Building (a.k.a. The Apple Office). 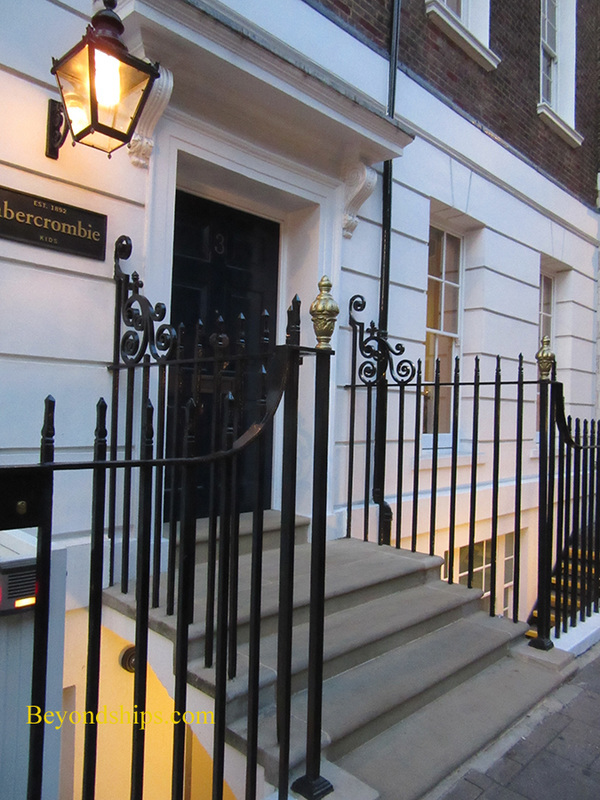 At 3 Savile Row, it is located on a street best known for its fine bespoke clothing shops. However, this building was for a time the headquarters of the Beatles's company Apple Crops. Once the Beatles started earning large amounts of money, their accountants suggested that they form a corporation as a tax shelter. Brian Epstein thought of establishing a company that would own a chain of retail shops. However, after Epstein's death, the concept shifted to the company being an engine for doing good things in a wide range of areas including the arts, electronics, and retailing as well as in music. It would not be managed like other corporations but rather on a loose counter-culture basis. The Beatles' utopian vision proved unworkable. Employees abused privileges and outsiders fleeced Apple out of money for projects that never materialized. It also suffered due to the deteriorating personal relationships that led to the break-up of the Beatles. This is not to say that Apple did not have some successes. James Taylor did his first album for Apple. Mary Hopkin and Badfinger had a string of hits while on the Apple record label. Of course, the label also released the later Beatles recordings and the post break-up Beatles albums. Just before the break-up, Apple was put on a more business-like basis by the Beatles new manager Alan Klein. It still survives and continues to be owned by the remaining Beatles and the estates of the two deceased members. The Apple Building was the third headquarters for the company. Part of the album “Let It Be” was recorded here and during that time, the Beatles gave an impromptu live performance on the roof of the building. Apple Corps has moved on and today, no one is hanging around out front like they did in the Beatles era. If you go up the steps, you will find yourself in a clothing store. 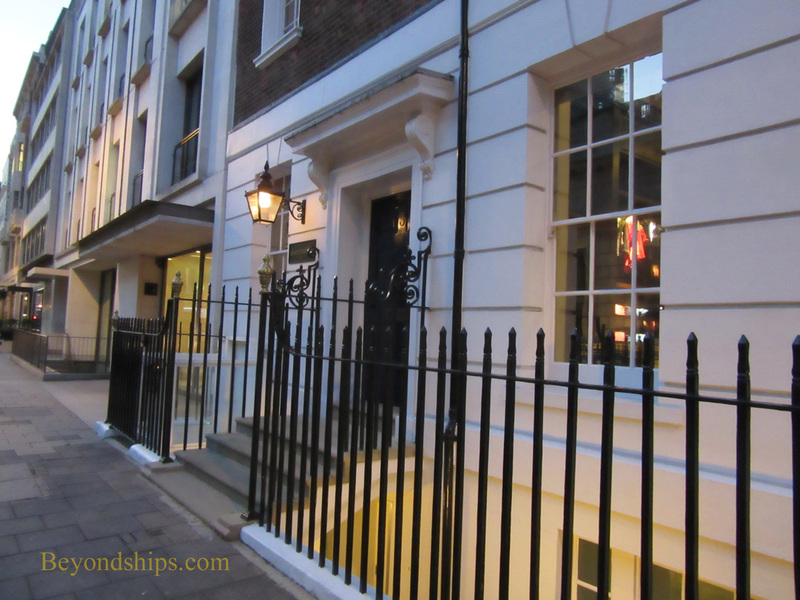 Savile Row is in Mayfair, north of Piccadilly and west of Regent Street. 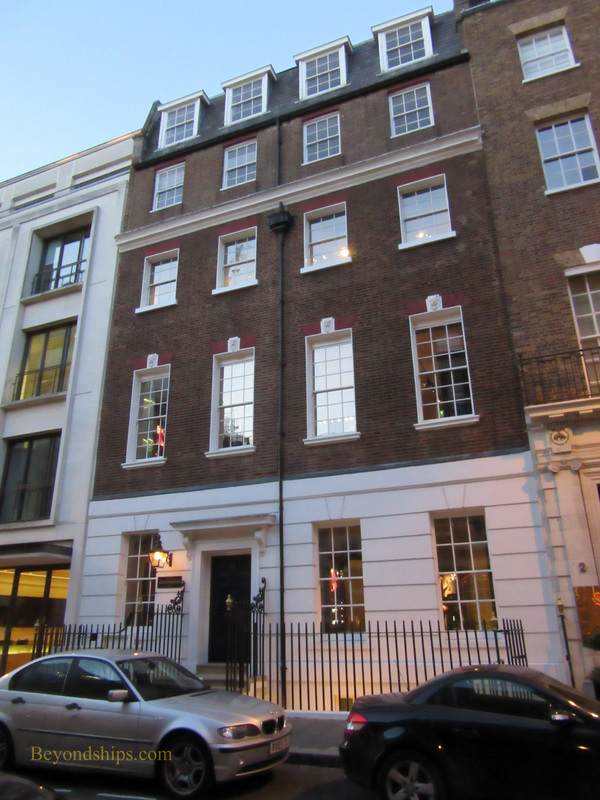 Number 3 is near the intersection of Savile Row, Burlington Gardens and Vigo Street.